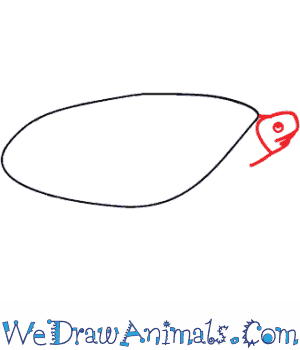 In this quick tutorial you'll learn how to draw a Beals Eyed Turtle in 9 easy steps - great for kids and novice artists. 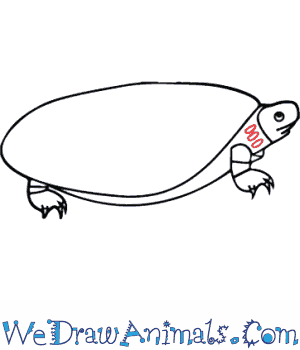 At the bottom you can read some interesting facts about the Beals Eyed Turtle. 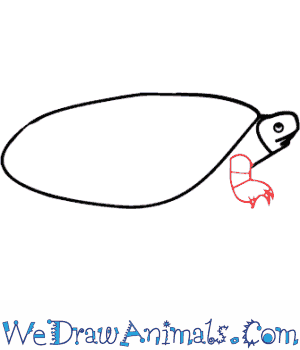 Step 1: Beal’s eyed turtle is a kind of turtle that lives in China and they are an endangered species. It has markings on his head that make it look like it has four eyes. 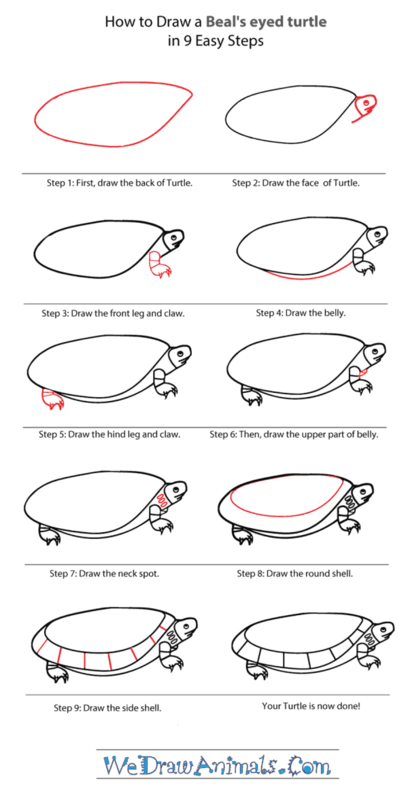 To draw a Beal’s eyed turtle, start by drawing his shell. It is an oval shape that is slightly pointed on one end. 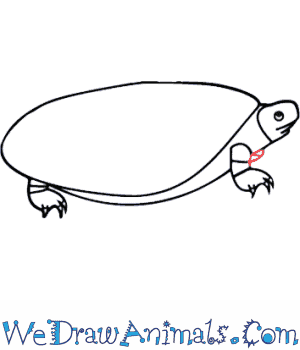 Step 2: Now draw the turtle’s head. Make a rounded square shape, and then add a short straight line below it for the turtle’s neck. Then add a small circle for his eye and a small line for his mouth. Step 3: Next, draw his front leg. Since these turtles live in streams and small creeks, their legs are shaped like flippers. Add some lines for stripes and draw in some claws. 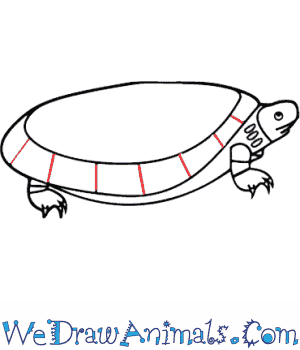 The claws help the turtle walk when they come up on land. 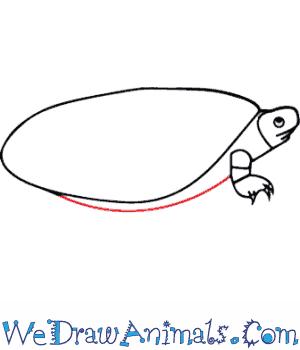 Step 4: Draw a long curving line under the shell for the turtle’s belly. Step 5: Now draw the turtle’s back leg just like the front leg. Step 6: Beneath the turtle’s neck, add a couple of lines to finish off the undershell. 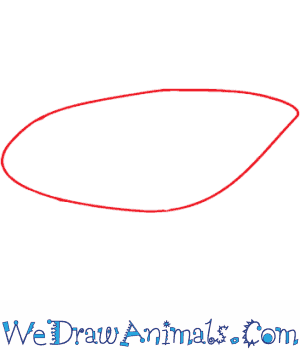 Step 7: Draw three little ovals for spots on the turtle’s neck. Step 8: Then draw an oval on the top of the turtle’s shell. Step 9: Add lines for stripes on the shell. Now you’re done! Beal’s Eyed Turtles are native to China. They can be found in streams and ponds. They eat bugs, worms, and fruit. Beal’s Eyed Turtles are sometimes called Beal’s Four Eyed Turtles because of the two colored spots above their eyes. Today these turtles are an endangered species. In 2007 an aquarium in Tennessee hatched a Beal’s Eyed Turtle. This was the first time the US was able to hatch one. Because these turtles don’t have eggs often it was a really big deal. There are only 18 known live Beal’s Eyed Turtles in zoos and aquariums. That includes America and Europe combined! Beal’s Eyed Turtles are named after a man named Thomas Beale. He was a merchant in China who liked to study nature. You can find these turtles in South China from Fujian all the way to the eastern Guangdong Providence. Beal’s Eyed Turtles used to be hunted for folk medicine. That’s why they are endangered. These turtles can get as long as 6 inches. That is pretty small for a turtle. Male Beal’s Eyed Turtles have green spots above their eyes, and females have yellow spots. Males also have longer and thicker tails, than females. Lesson Plan Note: Draw two turtles’ heads and add a spot above each eye. 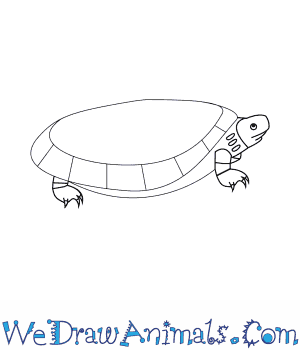 Distribute a copy to each student and have them color the turtles like one male and one female. This activity is great for grade school age children.